Our interdisciplinary team of experts are athletes. They are some of the top minds in sports medicine and nutrition. They fully understand the pressures athletes face. They know the impact – often hidden – eating disorders bring to training and performance. They are here to help. Dr. Quatromoni is a senior consultant for Walden Behavioral Care, and one of the nation’s top minds on the intersection of sports nutrition and eating disorders. As a registered dietitian, she has more than a decade of experience working with athletes with disordered eating and has published several papers on both clinical experiences and qualitative research on recovery experiences of athletes. Dr. Quatromoni is the Department Chair of Health Sciences and a tenured associate professor of Nutrition and Epidemiology at Boston University where she maintains an active, funded research program. 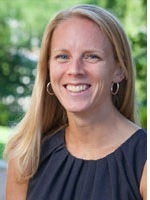 In 2004, she pioneered the sports nutrition consult service for student athletes at Boston University. Dr. Quatromoni was recently named a 2016 Outstanding Dietetics Educator from the Nutrition and Dietetic Educators and Preceptors (NDEP) Council. She earned her B.S. and M.S. degrees in Nutrition from the University of Maine at Orono and her Doctorate in Epidemiology from the Boston University School of Public Health. Dr. Chirban is a senior consultant to Walden Behavioral Care and the GOALS Program. She is also a trained sport psychologist at the Division of Sports Medicine—Boston Children’s Hospital, she has treated many athletes with post-concussion syndrome, ACL injuries, post-surgical rehabilitation cases and even athletic career transitions. She addresses the psychological needs of the whole athlete including recruiting issues, concerns around Red-shirting, self-management within team and coaching relationships as well as the inevitable transition away from competitive sports or performance. Dr. Chirban has a specialization in treating clinical eating disorders (anorexia, bulimia, BED) and partners with treatment facilities to build recovery programs that allow her patients to confront self-sabotaging behaviors that impede having a good and wholesome life. Many of her patients are elite and high level athletes and dancers, who seek her out for her specific dual specialization of treating eating disorders in this very unique population. She values the role of activity in the life of an athlete and performer and ensures that her patients and athletes include activity as part of their recovery process when medical and weight stability is in place. 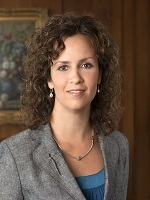 Dr. Stewart is a consultant to Walden Behavioral Care and the GOALS Program. 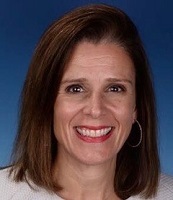 She is also an Associate Professor, the Dudley & Beverly Coates Endowed Professor, and the Director of the Behavior Technology Laboratory: Eating Disorders and Obesity, at Pennington Biomedical Research Center, Baton Rouge, LA. Dr. Stewart is a licensed clinical psychologist in the state of Louisiana and serves as Founder and Chief Scientific Officer of Body Evolution Technologies Inc., an entrepreneurial venture dedicated to translating science into products that can improve everyday life. She leads a research program dedicated to Translational Science, taking health behavior change programs and technologies from bench (science) to bedside (tools everyone can use). This program centers on eating disorders, body image and obesity, with a focus on the assessment, treatment and prevention of these issues. With the dawn of new e-health technologies and advanced population health research models, Dr. Stewart has been a pioneer in the development and testing of e-health technologies and community-based programs in order to disseminate prevention efforts to large populations, e.g. U.S. Soldiers, NCAA female athletes. Her current projects include a NIH funded R01 investigating the prevention of unhealthy eating in female collegiate athletes across four sites, called the Female Athlete Body Program (FAB). Dr. Stewart serves on numerous national and local boards and initiatives, including academic journal editorial boards, the National Bureau for Recovery Services for eating disorders and athletes and the United States Army Surgeon General’s Task Force for the Performance Triad initiative (Nutrition, Fitness, Sleep) for the U.S. Army. 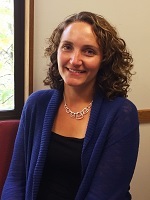 Dr. Arthur-Cameselle is a consultant to Walden Behavioral Care’s GOALS Program. An experienced clinician trained extensively in clinical sport psychology and techniques used in eating disorder treatment, Jessyca brings sport psychology expertise and previous experience working with hundreds of athletes across the nation. She has five years of experience as a full-time clinician including in positions where she ran eating disorder and behavior change therapy groups in college counseling settings and in a residential treatment center. Dr. Arthur-Cameselle is also a tenure-track Assistant Professor at Western Washington University where she teaches and practices sport psychology. She maintains an active research program in the field of eating disorders in sport, specifically on the topics of onset and recovery from eating disorders among female collegiate athletes. She and Dr. Quatromoni are established collaborators who have co-authored several papers on this topic in the peer-reviewed literature. Dr. Arthur-Cameselle earned her B.S. in Psychology and Kinesiology from the College of William and Mary where she played Division 1 tennis. She earned both her Ed.M. and Ed.D. degrees in counseling psychology from Boston University. Emily is an accomplished runner, who has participated in ten consecutive Boston Marathons. She understands the lack of attention on eating disorders and mental health within the athlete population, and is passionate about changing that. She is the director of Walden’s Waltham clinic, where she oversees the clinical and administrative components of GOALS and other eating disorder treatment programs. She previously was director of residential, partial hospitalization and intensive outpatient programs for adolescents and adults at Walden’s Waltham location, and a clinician on Walden’s inpatient eating disorder and psychiatric units. Prior to Walden, Emily worked at Octagon Worldwide representing various professional athletes for the global sports and entertainment marketing firm. She was also an intern at the Women’s Sports Foundation in New York City. 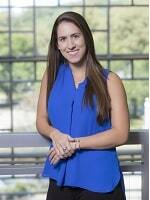 Emily earned her master’s degree in counseling psychology from Boston College. 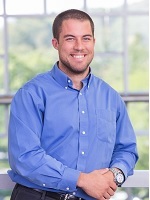 Matt is a licensed registered dietitian nutritionist and certified strength and conditioning specialist. He is a nutritionist and exercise science advisor for the Walden GOALS program. Matt devoted the early part of his career to refining the art of training elite collegiate and professional athletes. In graduate school, he developed expertise in nutrition, behavior change and eating disorders. Matt now devotes his practice to translating nutrition and exercise science into practical solutions. As a lead member of the GOALS team, Matt is known for his dedication to educating and empowering athletes of all backgrounds to facilitate a full and meaningful recovery from disordered eating. Matt holds a B.S. degree in Kinesiology from the Honors College at The University of Massachusetts Amherst, a master’s degree in Applied Exercise Physiology and Nutrition from Columbia University and was a dietetic intern at Boston’s Brigham and Women’s Hospital. Dara is the primary clinician for the GOALS Program at Walden’s Hickory Drive Clinic in Waltham, Mass. As an All-American soccer player at Brandeis University and as a prior Division I NCAA athlete, Dara understands the pressures of being a competitive athlete. These years taught her a high level of commitment to all of the dimensions of a team sport. In addition, Dara navigated her third ACL tear as a freshman and worked through the recovery process, allowing her to fully understand the psychological component of athletic injury. Her passion for helping others, combined with her love of sport and previous experiences, led to her pursuit of a Master’s Degree in Counseling, with a concentration in Sport Psychology at Boston University. While attending BU, Dara developed clinical and sport consulting skills. 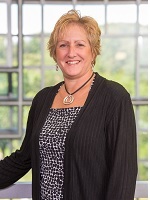 Dara previously worked as a Community Residence Counselor at McLean Hospital. This dual interest has allowed her to work with eating disorder patients inside and outside of sport. She blends a skills-based approach with traditional clinical psychology frameworks to support a recovery process marked by resilience, optimism, and balanced living.